Additional Info: Veranda / Entrance decking. £75 Deposit will secure your chosen dates and is (non refundable). Your remaining balance plus a £75 bond will be due 6 weeks before your arrival date. This will be returned within 7 days after your departure and the usual checks and the keys have been returned to me or the office (only if you got them from there). For more information you can contact me by phone after 16:30 M-F or (email prefered). Names of all guests. Full address and a contact number is required, this is for the guest form with your details that will be sent to you, you must hand this into the office after you have arrived - required for reference, emergencies and insurance purposes. 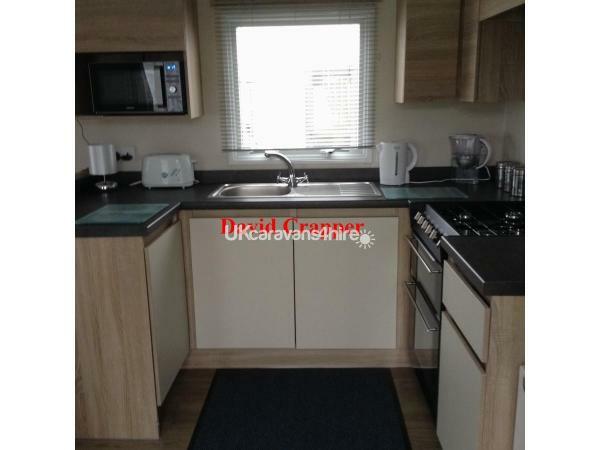 Stunning 3 bedroomed Caravan in a spacious plot on Ingoldale Holiday Park. with easy access to the beach and all attractions close by. Access through Kingfisher site giving you a shorter and safer route to Sea Lane. 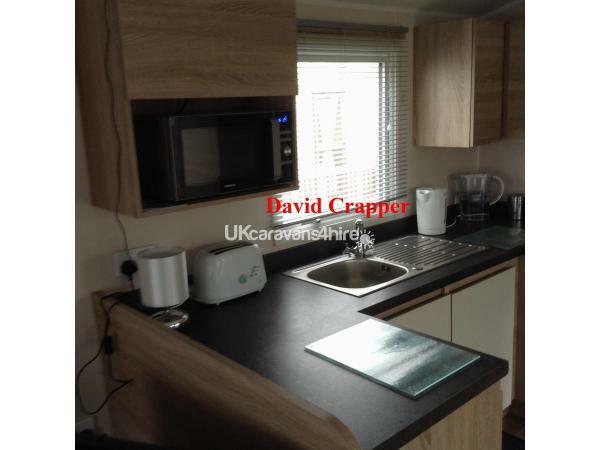 This is a lovely spacious caravan for that perfect holiday. 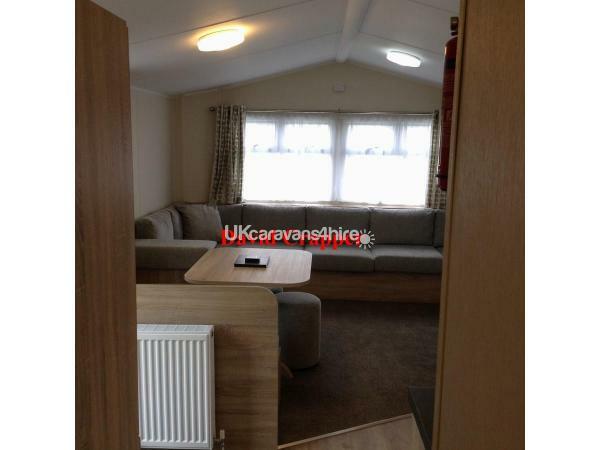 Car parking space (for one car) is across the front of the caravan, if there is a additional car it has to be left in the car park and not near the van. The site office do checks and will ask you to remove it for safety and emergency vehicular access. 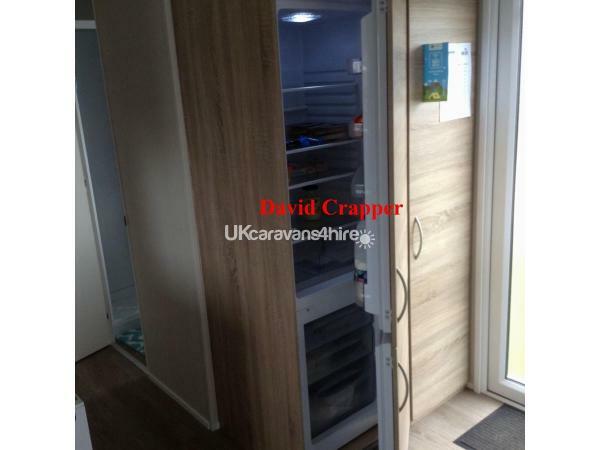 A spacious lounge with a 32" freeview television in a wraparound living and dining area leading onto the equipped kitchen with integrated full size fridge freezer, microwave and all mod cons expected from this grade of caravan. 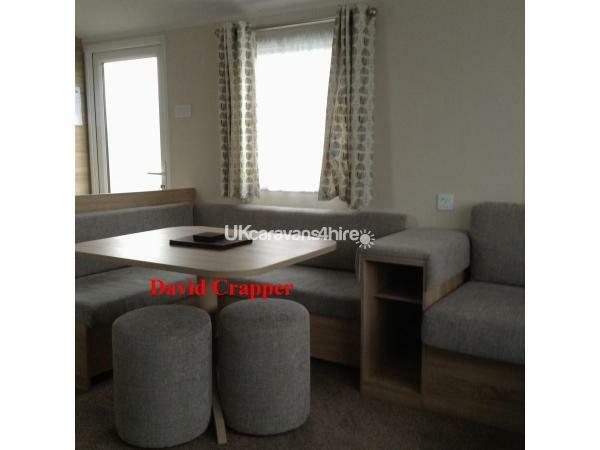 Double master bedroom with a double fitted wardrobe, includes double quilt and two pillows. 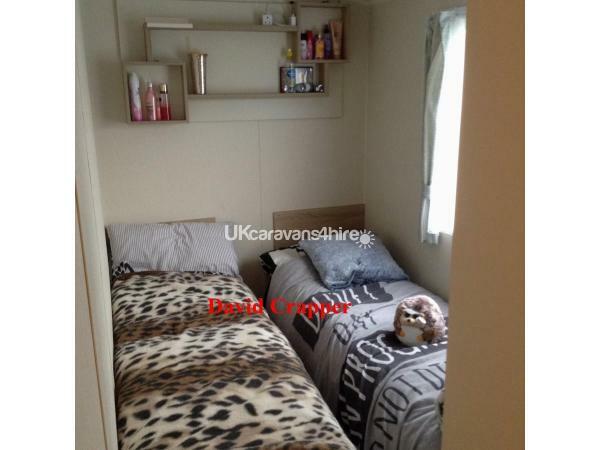 Two further twin bedrooms with fitted wardrobes and bedside unit, includes single quilts and pillows. Bed sheets, quilt covers, pillow cases and towels are (not supplied) by the owner. 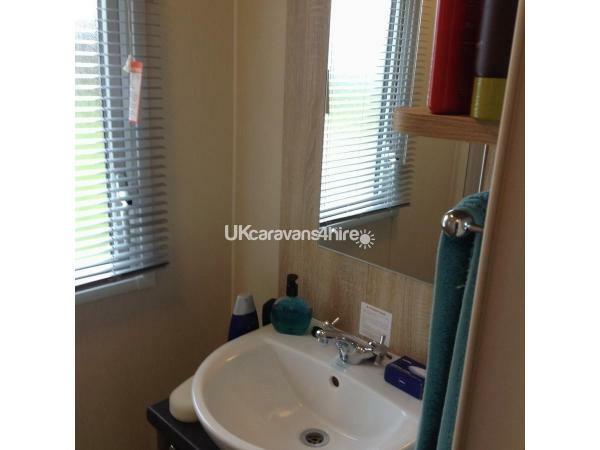 Family bathroom with large spacious shower and sink. 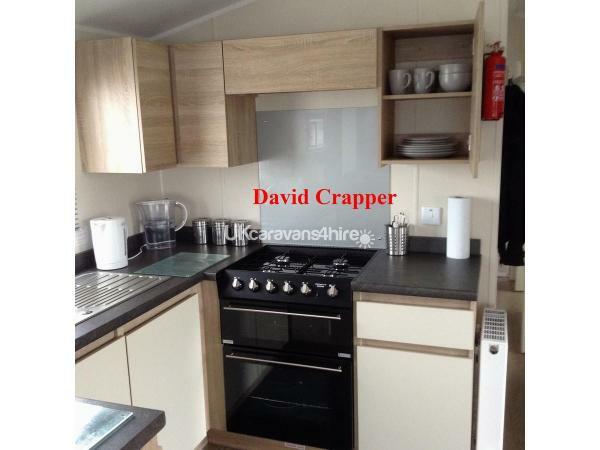 The toilet is separate from the bathroom making it perfect for larger families and for people that have to go. 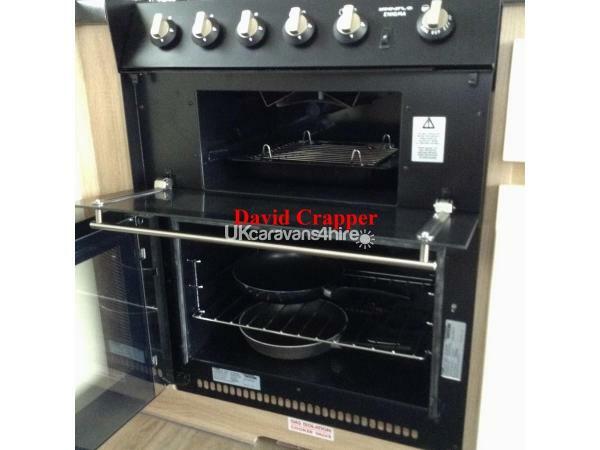 Full central heating throughout, a gas fire and double glazed too making it a warm and cozy caravan even when it's a little chilly outside. 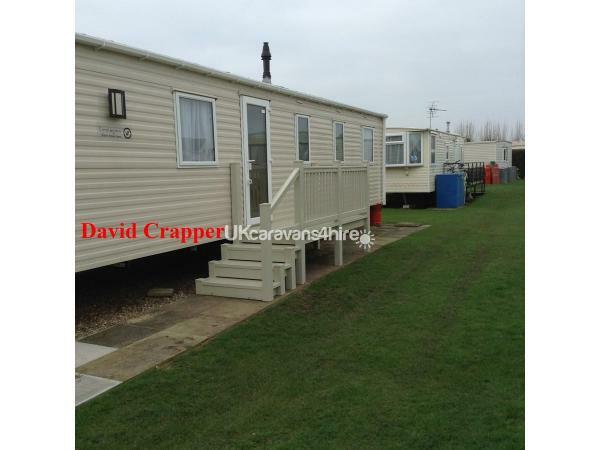 Outside is the decking that gives you easy access to enter the caravan. Payment Plans can be arranged, but this has to be done by bank transfer, for accurate records and confirmation of payments sent and received. 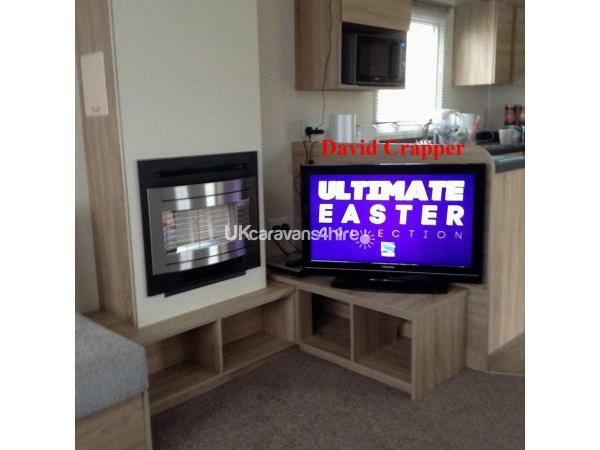 £75 Deposit will secure your chosen dates and is (non refundable). Your remaining balance which includes a £75 bond will be due 6 weeks before your arrival date. This will be returned within 7 days after your departure and the checks and keys have been returned. For more information you can contact me by phone (only) between 16:30 & 21:00 or (EMAIL PREFERED) due to not able to use a mobile phone at work. Coastfields passes can also be purchased from the office if required, for the showbar, swimming pool and train. Close to all local attractions and a 5 mins walk to the Beach, Fantasy Island where you will find the Eastgate Market. Amusement park offering a fantastic selection of rides for all the family, amusement arcades. Restaurants. Bars etc. Additional Info: Pete's chip shop, pub and amusements. No reviews found. 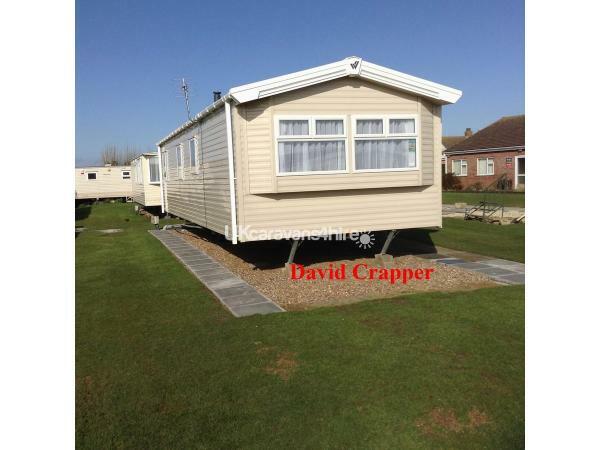 If you have recently stayed in this holiday home please leave a review, it only takes a few moments and will really help future guests when they are searching for holiday accommodation at Ingoldale Holiday Park.